For the 6th year, WCI is sponsoring its Annual Prayer Breakfast on Monday, August 7, at 7:00 a.m. in Crystal Ballroom J1. This annual event is intended to be a “kick-off” of the conference for interested persons. Each year, WCI introduces a respected individual in an industry not necessarily identified as “spiritual” to explain to the audience what their faith has meant to them in establishing their success. The remarkable stories told provide an inspiration to attendees regardless of their religious preferences, if any. The cost of this event is $60 per person, which includes a full breakfast. Proceeds received will pay for the expenses of the event, with any overages being donated to the WCI® service project “Give Kids The World.” Registration to attend the event can be made by registering online. For the first time ever, the conference keynote speaker and the prayer breakfast speaker is the same. 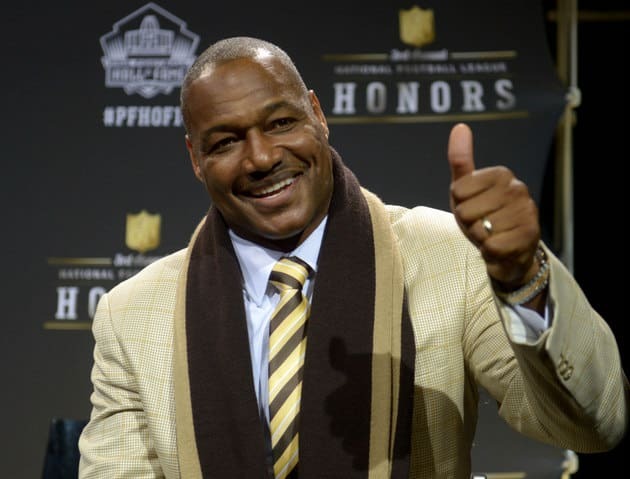 We are very proud to welcome Derrick Brooks to the conference. Derrick Brooks was drafted by the Tampa Bay Buccaneers in the first round of the 1995 NFL Draft, where he remained to play his entire 14 season professional career. He is widely considered one of the best linebackers in NFL history. An 11-time Pro-Bowl selection and 9-time All-Pro, Brooks was named AP NFL Defensive Player of the Year in 2002. In February 2014, Derrick received one of the highest honors of his life by being named to the Pro Football Hall of Fame. He was also inducted into the Capital One Academic All America Hall of Fame. He graduated with a bachelor’s degree in Business Communications at Florida State University where he was a 3-time First Team All ACC Selection, 2-time First Team All America and a member of the 1993 Seminoles National Championship team. He has a master’s degree in Business Communications from FSU and a doctorate in Humane Letters from St. Leo’s University in 2006. Brooks has been the recipient of several prestigious awards including the 2000 Walker Payton/NFL Man of the Year Award, the 2003 Bart Starr Award, the 2004 Bryon “Whizzer” White Award and the 2008 JB Award through the NFL Players Association, all of which recognize an NFL player annually for their commitment to the communities in which they live. He has also received numerous community awards in Tampa, Florida for his work and dedication to the community. Speed the word — use hashtag #WCI2017 for your conference-related social media posts!